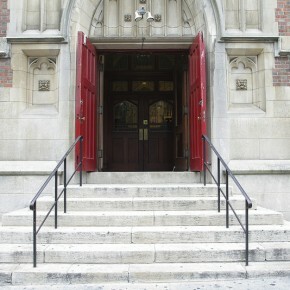 On Sunday, September 2, I started my full year internship at Advent Lutheran Church in Manhattan. I’ve been the field ed/seminarian intern for the last two years but I’m now full time. I don’t have time for a full write up of what’s been happening but I’d like to share some highlights. After my sermon on Sunday, I ate pancakes full of cookie dough. My teeth hurt just writing that. While wearing my collar on Sunday, and leaving the subway station, I passed by a man begging for money on the street. After he insulted a young couple in front of me (who were ignoring him – the proper NYC response), he saw me, grabbed his throat, and kept saying “father! father!” while locked in a death stare. It was a very weird experience that I didn’t know how to react to. I have my own voice mail box now. I’m fancy. I’m consider going to a rock show with fellow parishioners to support a member of my congregation rocking out as the drummer in Hannah vs the many as part of my ministry. On the ride into the office on my first day, it was very strange to be actually commuting to work with everyone else. It’s still weird turning away people who randomly walk into the church and ask for money (which we don’t give out to walk-ins). I had to turn down a family yesterday (while directing them to other local charities and resources that are available to them). There’s been a big pile of Dum-dum lollipops that I have been devouring all week. Being away from Oliver has been tough. I’ve forgotten something vital at home every day this week. Today, I left my coffee on the kitchen counter. WHYYYYY. Being a part of bible studies is one of my favorite things about the church. 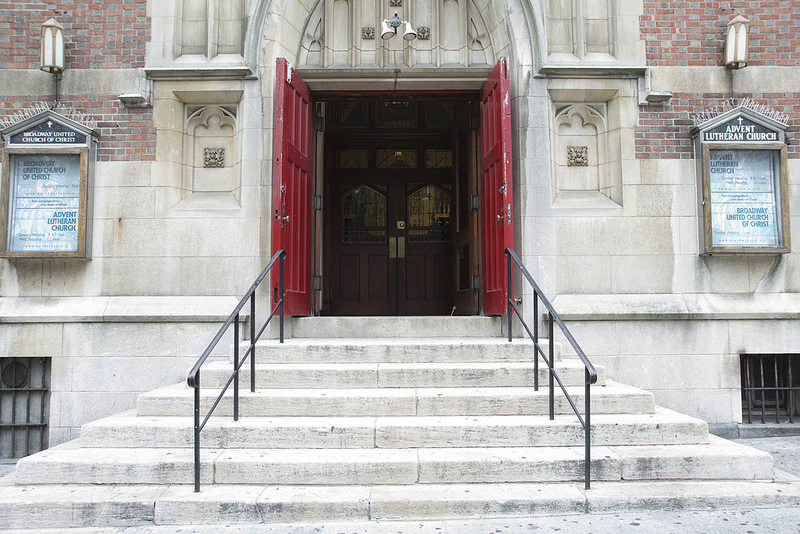 The new vicar at Trinity 100th street seems nice. And I started out my vicarship with a cold that the whole family is now enjoying. Oliver’s coughs and sneezes are adorable, and sad, at the same time. Previous Previous post: 365.357 Which one is the cat and which one is the baby?